1. 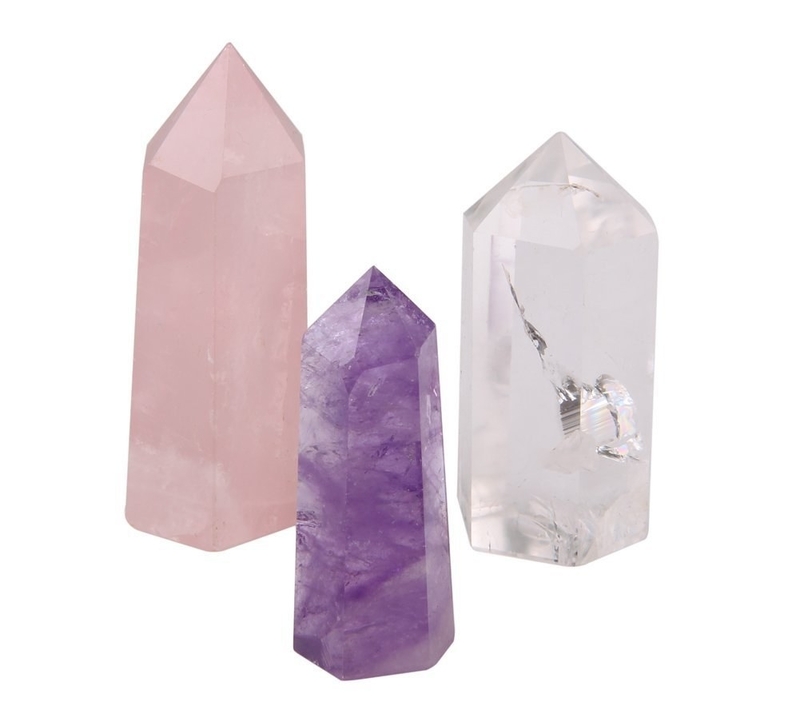 A set of crystal 3 wands in rose quartz, amethyst, and clear quartz. Get the set from Amazon for $24.58. 2. A soy candle with an amazonite crystal hidden inside. Promising review: "Smells amazing and burns really nicely. Can't wait to get to the bottom to find my crystal!!!" —Cheryl C.
Get it from Arabella Crystals on Etsy for $15.95. Promising review: "Honestly the most beautiful stones. Really well-made and vibrant! My girlfriend is going to love these for her meditations. Thanks so much!" —Nadja J. Get it from KEEPINITZEN on Etsy for $19.99. 4. ...and a book that explains everything there is to know about healing your chakras. Get it from Amazon for $11.59+, Barnes & Noble for $7.98+, or a local bookseller through IndieBound here. 5. A pyrite cluster that's supposed to bring good luck. Get it from Throwin Stones on Etsy for $3.95. 6. 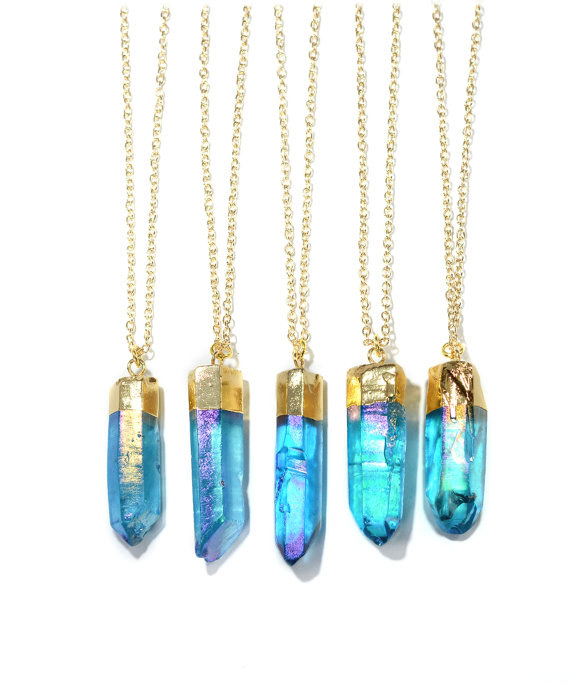 A crystal pendant necklace that comes in virtually any color. Promising review: "Great for the price. Not cheap looking. I really like the necklace and would buy from the company again. I recommend." —Stacey M.
Get it from Vivamacity on Etsy for $12.99. 7. A monthly subscription box filled with a variety of crystals. Get the Crystals & Creations box at Cratejoy: the Monthly healing box for $24/month and the Crystals, Herbs, Jewlery Box for $50/month. 8. 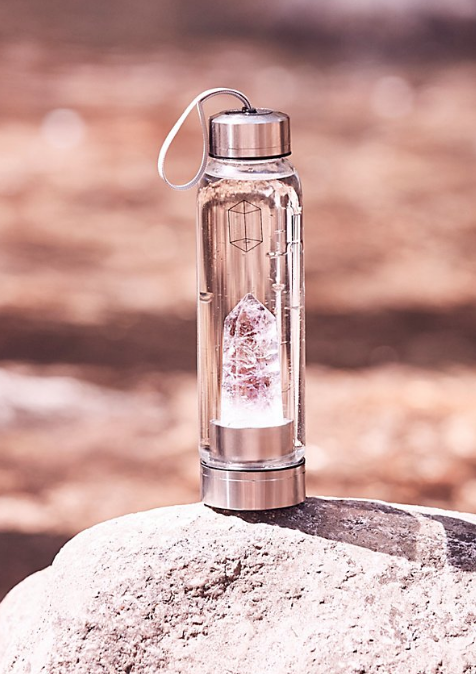 A Himalayan Pink Salt Lamp to light up their space. Promising review: "I love this thing. The dimmer is great for when I want a super soft glow and it gives a warm feel to any room. Beautiful lamp." —Kaitlin J. 9. 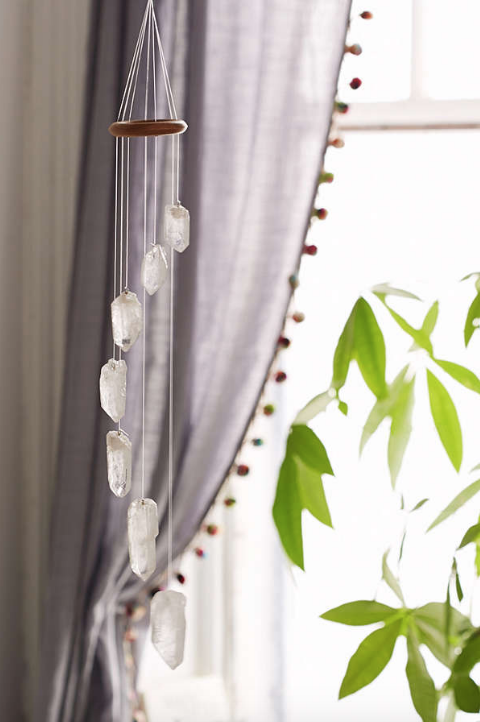 A hanging mobile made with clear quartz points. 10. A black tourmaline bracelet to help them feel calm, cool, and protected. Promising review: "The energy from this bracelet is amazing. I bought two. Quality bracelets. I have big wrists. I’m thankful that this one came bigger than 7 inches. This company does sell a different one of these but smaller if you have smaller wrists. I’m about 7.5 to 8 inches and it fits great. Will order again for gifts." —Sa Z. 11. An amethyst elixir spray to keep the good vibes going all day long. Get it from ShaktiHealingSpace on Etsy for $13.99. 12. A gorgeous book that identifies different crystals and their metaphysical qualities. Get it from Amazon for $16.17, Barnes & Noble for $17.17+, or a local bookseller through IndieBound here. 13. 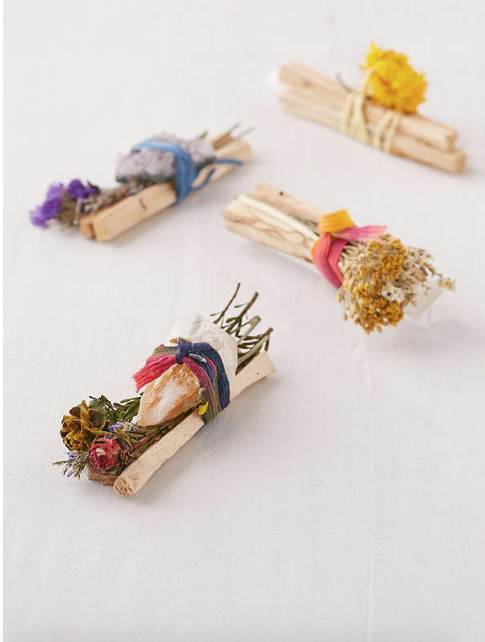 A cleansing self-care bundle featuring palo santo, dried flowers, and a crystal. These babies are hand-wrapped with vintage tie-dye ribbon by renowned Brooklyn apothecary Catherine Rising. 14. A subscription to MoonBox, a monthly supply of crystals, essential oils, herbs, and tea. Get the MoonBox from Cratejoy for $29.50/month and MiniBox for $12.50/month. 15. 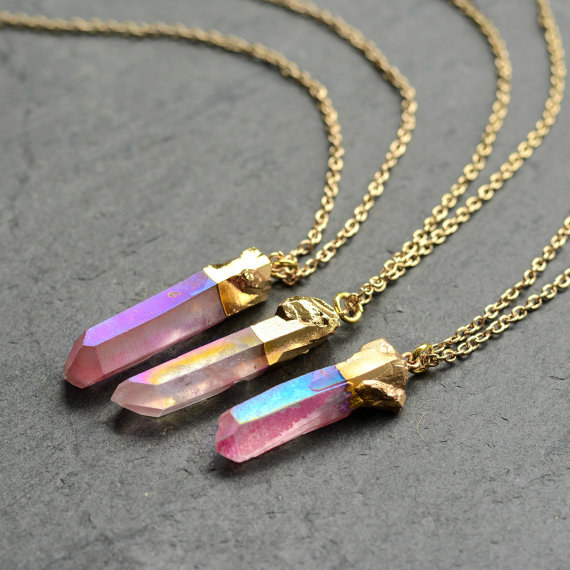 An aura quartz necklace that shimmers and shines. Promising review: "Necklaces arrived in perfect condition, no problems at all. They are very true to what you see in the pictures, great quality." —Katrina C.
Get them from VF Jewelry on Etsy for $16.69. 16. A set of mini crystal chips in a wide variety of stones. 17. 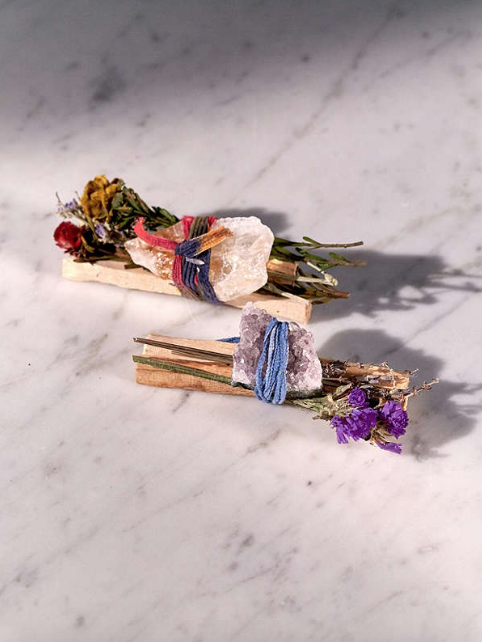 A pack of mini sage bundles to cleanse their space and crystals. Promising review: "I have bought Sage in several different places and this by far has been one of the best!, quick delivery, sage smells so good. Leaves are great not super fresh and not dry just perfect! This is my second time purchasing from them." —Mira S.
Get a pack of five from Amazon for $9.50. 18. A heart-shaped selenite candle holder. Promising review: "Perfect size for my small altar. Quality outstanding. Without a single flaw. Love it. Thanks." —Stephanie S.
19. A set of agate slice coasters. Promising review: "Wife purchased these coasters and I must say, they are extremely beautiful! Just a heads up that anything that condensates a little too much might attach to the bottom of the bottle." —Jonathan R.
Get them from Amazon for $24.99 (available in pink, purple, blue, turquoise, and brown). 20. 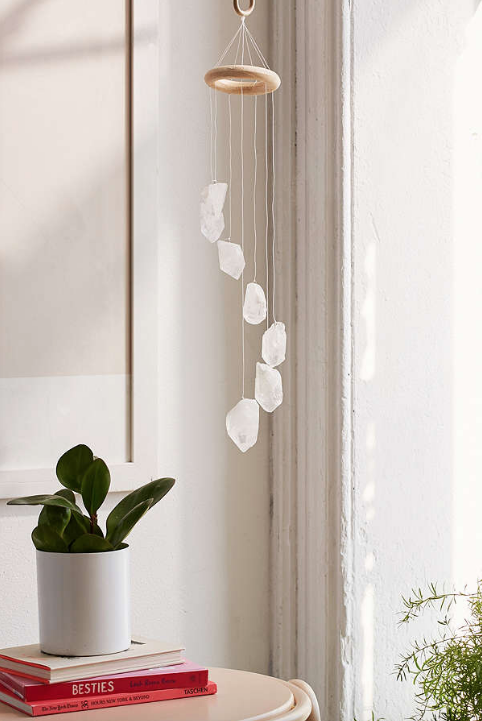 A string of drilled quartz points to make their own necklaces and crafts with. 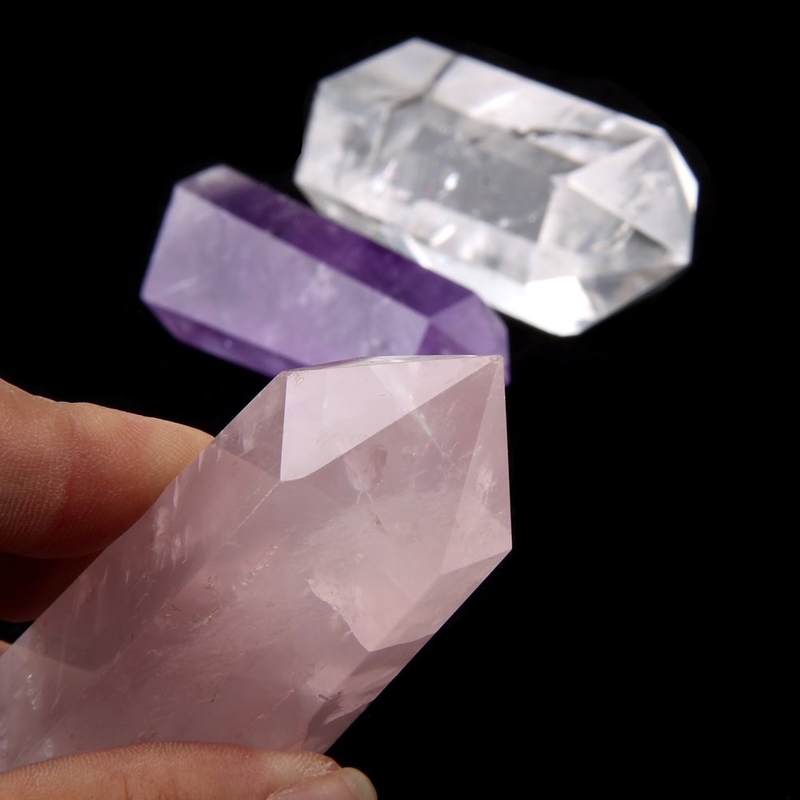 Promising review: "This is an absolutely stunning set of crystals for the price! I am hoping to create a beautiful necklace using them in the near future!" —Jennifer C.
Get it from Amazon for $13.12. 21. 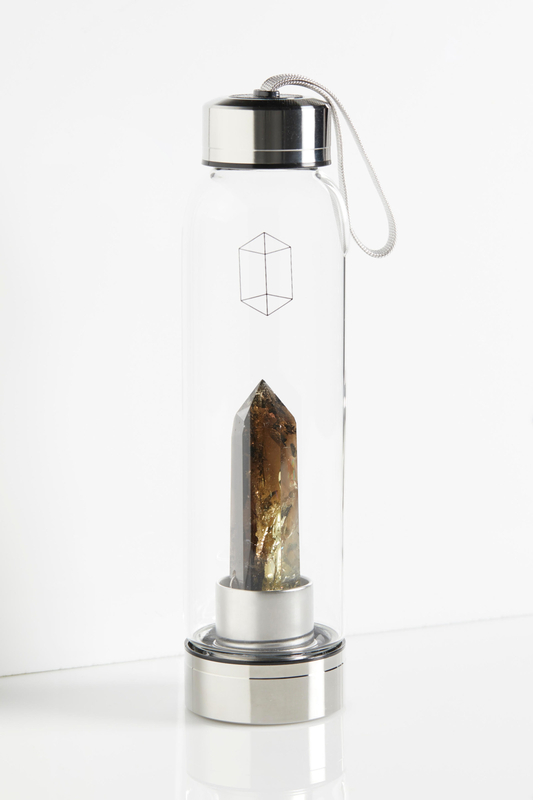 And a crystal elixir water bottle that comes with a stone inside of it. Get it from Free People for $84.